foursquare | Do You Have A Pencil? Are You Participating In Foursquare Day on April 16? 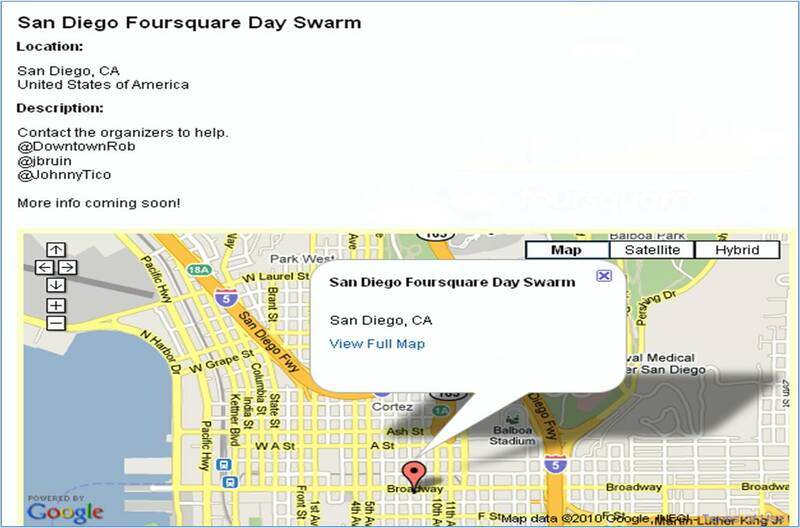 This Friday (April 16), more than 100 cities around the globe will participate in Foursquare Day, a day where “mayors” will surely be un-seated, unique badges awarded and swarms of iPhone-clad digiratis will flock to public places and do only God knows what. 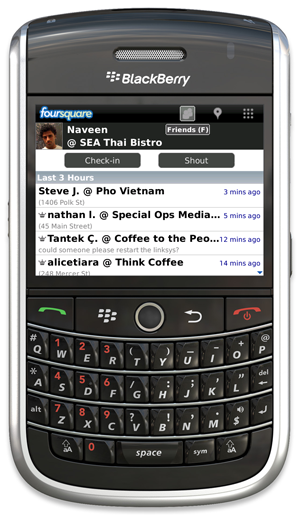 Last week, the long awaited Foursquare mobile app was made available to BlackBerry users. Must we take it seriously? Hell, yes. Just look at the numbers. At first blush, it may seem too small a number to consider when looking at Big Daddy iPhone, but we’re talking about potentially reaching tens of millions, not forgetting Asia and Oceania where BlackBerry usage is even greater. Also consider London, LA and NYC were some of the biggest users of Foursquare even before the BlackBerry app. Think about the typical BlackBerry user. We either own our own device out of necessity or have it assigned to us for work purposes. Why? To remain “plugged-in” while on-the-go. Will the urge to “check-in” from our favorite lunch meeting spot be too hard to resist? Only time will tell. For now, I recommend signing up and trying out the Beta. It may not be perfect for all of your clients, but certainly something you’ll want to bring to the next board meeting. It’s okay if you’re still scratching your head over the FourSquare piece in the Chicago Tribune. So you earn merit badges and free stuff for places you already go, things you already do. Sweet. Are we cool sharing our getaways with another logo? I’m still getting over seeing birdies and “follow us on Facebook” messages on everything from the bus to bathroom walls. Yeesh. For retailers, this is a no brainer. For the organic and grassroots set, you may need to ask yourself if a corporate partnership will help or harm your brand identify. Am I complaining? Heck no. It’s called the Virgin America Terminal at LAX. Just a hint.